Biomodd is a multifaceted socially engaged art installation that finds meaningful relationships between biology, computers and people. On the most basic level, Biomodd creates symbiotic relationships between plants and computers, and ignites conversations among the community around them. For example, algae are used to cool computer processors so they can run faster, while the heat that is generated by the computer electronics is used to create ideal growing conditions for a plant-based ecosystem. This dynamic is the catalyst for collaboration between the core team members - which include, artists, biologists, computer scientists, game designers, gardeners, community organizers - and members of the local community in which the project takes place. 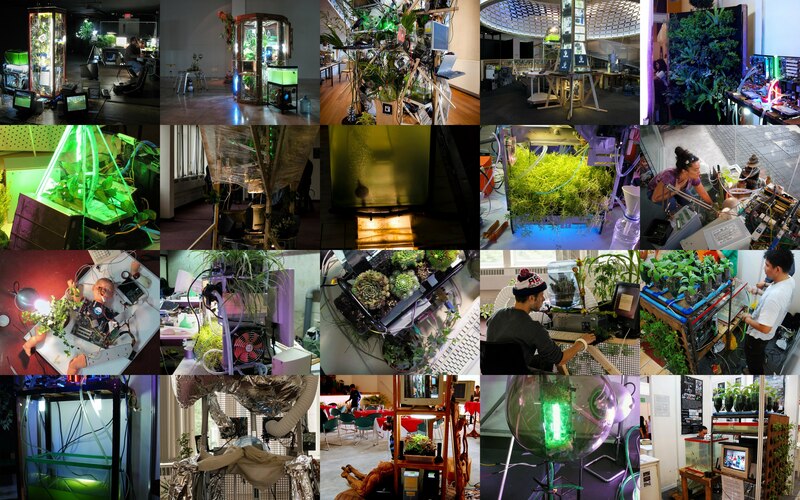 This open source project was conceived by Belgian biologist-turned-artist and Senior TED Fellow Angelo Vermeulen. The first Biomodd was Biomodd [ATH1] in Athens, Ohio, which was built between September 2007 and January 2008, and then nominated for the Prix Ars Electronica Hybrid Art award in 2008. He and fellow collaborators have brought Biomodd to a number of different countries throughout the world. Biomodd since traveled to the Philippines, Slovenia, New Zealand, Belgium, the Netherlands, New York, Germany, Kosovo, Taiwan, and London, with new Biomodd projects in the works for Iran and India.